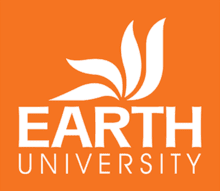 Earth University Costa Rica is now accepting Applications for the LEVENTIS FOUNDATION Undergraduate Scholarship in Sustainable Agriculture. We, therefore, encourage qualified candidates to apply for these life-changing opportunity. The Leventis Foundation Nigeria was established in 1988 to take over and expand the work the “Nigeria Advisory Panel” of the A. G. Leventis Foundation (www.leventisfoundation.org), which had been active since 1979. In support of the Federal Government’s new Educational Programme with its emphasis on self-sufficiency in food production, the Foundation took a major policy decision in 1986 by choosing as its main goal the training of young farmers in modern agricultural methods. To date nine schools have been established in Nigeria and Ghana specializing in innovative ways of training small scale farmers to improve productivity, efficiency and environmental sensitivity, taking advantage of the latest research at the International Institute of Tropical Agriculture and elsewhere. The trainees spend a year at the schools and then, returning to their farms and communities, are advised and supported by the schools’ extension programmes. The application period opened on 1st August 2018 and will close on 30th November 2018. The application is open to two (2) qualified candidates from your country to aspire for an undergraduate degree in agricultural science and sustainable natural resource management. We are interested in candidates who are leaders, possess vocation in agriculture, are committed to working with their communities, and have good grades in science subjects and mathematics at end of high school exams. Complete the application form in its entirety and sign the form, together with a witness. Attach one (1) current passport size photograph on the first page of the application. Attach copies of your junior and senior high school certificate(s) or result slips/transcripts as offcially recognized and issued by the examining body in your country. Also, enclose transcripts from any colleges/institutions you may have attended. Enclose three (3) letters of recommendation in the suggested EARTH format. Optional: Attach additional certificates or recognitions, out-of-format recommendation letters that you may consider as support for your quest for admission to EARTH University. Incomplete and late applications will not be considered for faculty review. You may also fill out the application online: https://www.earth.ac.cr/en/study-at-earth/how-to-apply/ and attach documents, recommendation letters and academic transcripts in PDFformat. Remember that the application window opened from 1st of August 2018 and will close on 30th November 2018. Candidates will be applying for 2019 academic intake.